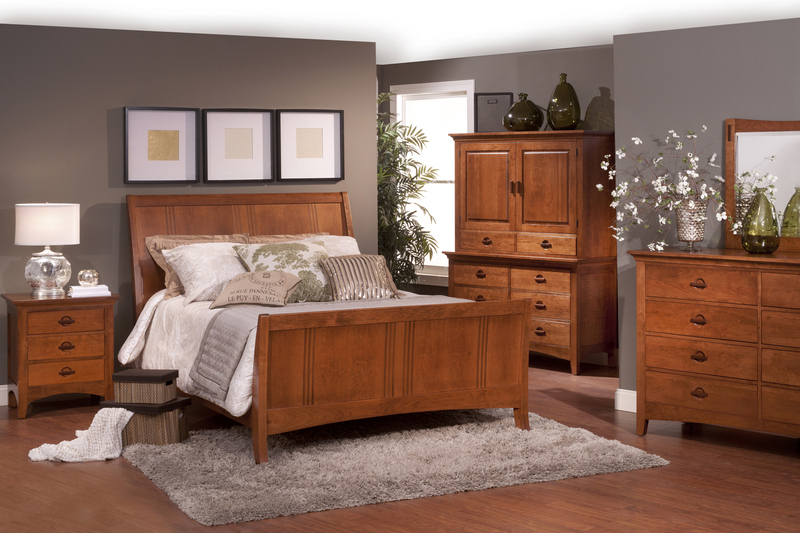 Saugerties Furniture Mart- Save 10% on Vaughan Bassett Bedroom Sets! If you’re shopping for a new American Made Bedroom you’ve got to stop by Saugerties Furniture Mart. 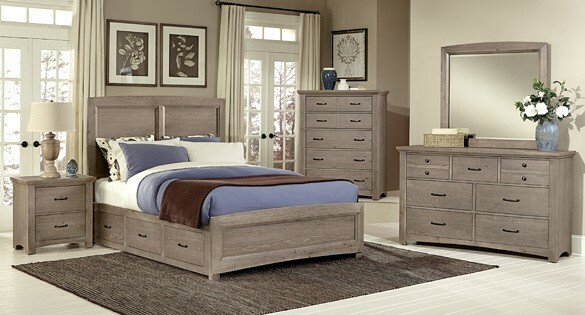 Save an additional 10% off our Everyday Low Prices when you buy 4 or more pieces of Vaughan Bassett Bedroom furniture. Vaughan Bassett has bucked the import trend and invested in their American factories to be able to build affordable quality right here in the United States. Another advantage of being Made in the USA, Vaughan Bassett can offer different finish and hardware choices on their products at NO EXTRA charge which fits our philosophy of “A lot of choice without extra cost”! We show 10+ Vaughan Bassett Bedrooms on our floor at all times. We love the value, the quality and their promise to deliver the goods quick! 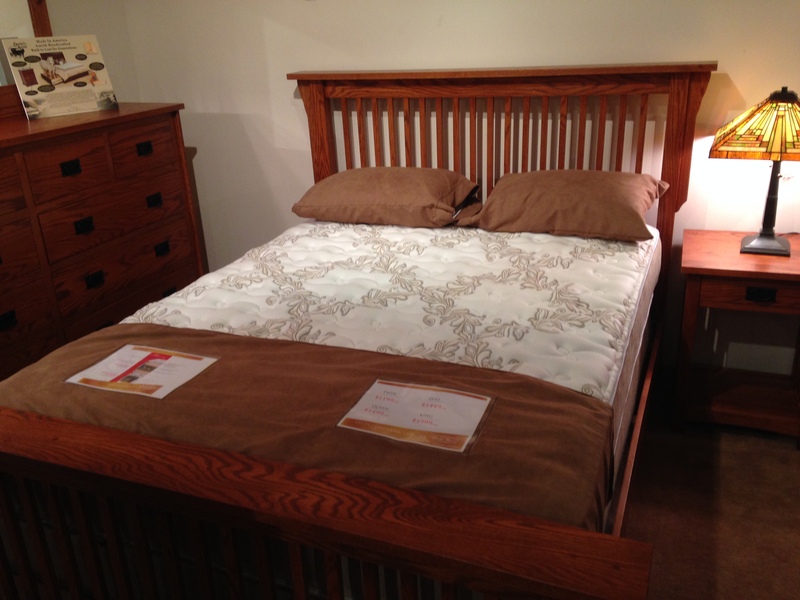 Stop by Main St. in Saugerties to find your perfect bedroom set! Below are a few great examples of Vaughan Bassett styles on our floor now, more in store of course! Happy Holidays to all! We’ll take the next three days off to get ready to be fresh to furnish your home in 2015! 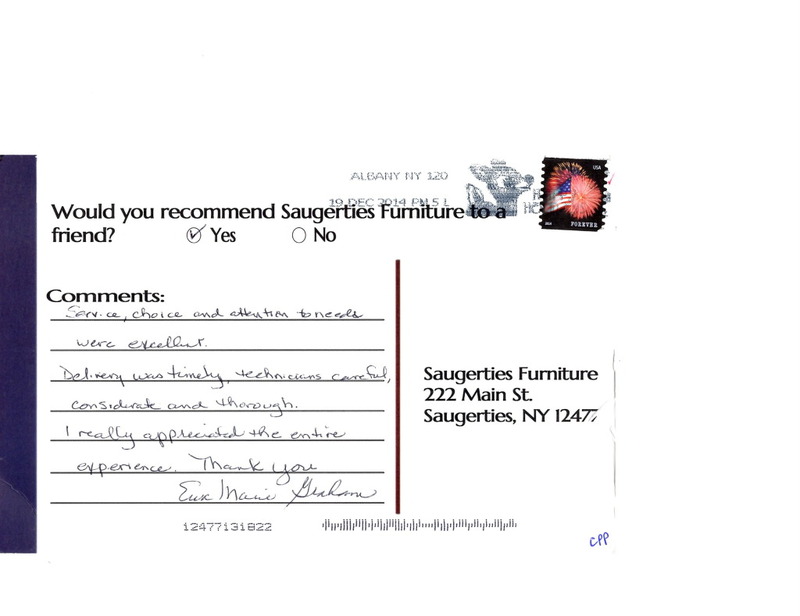 Here are some kind words from a satisfied Saugerties Furniture Mart customer. Visit us 7 days a week for all your furniture and mattress needs. We deliver furniture and mattresses throughout the Hudson Valley! Saugerties Furniture Mart & Vaughan-Bassett -Committed to the USA! Vaughan-Bassett is passionate about producing affordable Made in USA bedroom furniture for adult and youth bedrooms. We stock a large assortment of Vaughan-Bassett on our floor and believe it’s a much better value than similarly priced imports. The furniture has an inherent beauty from the North American hardwoods that are sustainably harvested and replanted by Vaughan- Bassett. Below is a nice synopsis of what the company is all about. Vaughan-Bassett Furniture is a specialist in affordable, well-crafted furniture for the bedroom, and the largest producer of wood bedroom furniture in the U.S. While furniture plants across the country have permanently shuttered their doors due to overseas competition in recent years, Vaughan-Bassett chose to ensure that, at nearly 100 years old, the company would remain the largest employer in its hometown of Galax, Virginia by outfitting its plants with state-of-the-art equipment and updating all of its procedures. Nearly 700 talented and hard-working craftspeople head to work at Vaughan-Bassett each day, proud in the knowledge that they are creating quality furnishings their fellow consumers can trust to live and sleep with every day. Thanks to the growing number of people who recognize how important domestic manufacturing is to the health of America’s economy and insist on buying American-made goods, the company has recently opened a second plant to satisfy the increased demand for its products. Vaughan-Bassett expects to create another 115 jobs over the next three years. Click here for more youth bedrooms. See all our Vaughan-Bassett products & learn more about the company here! 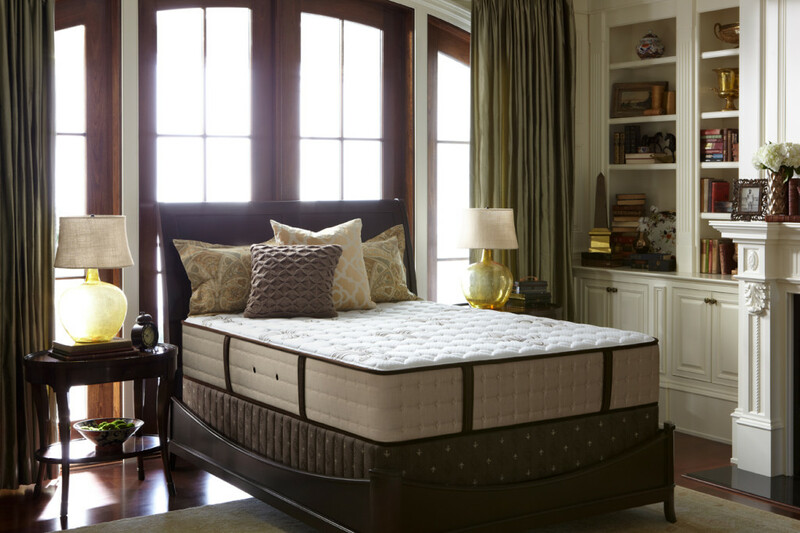 The new 2014 Stearns & Fosters are a great addition our new mattress gallery. A Stearns & Foster mattress is an investment in your personal well being. 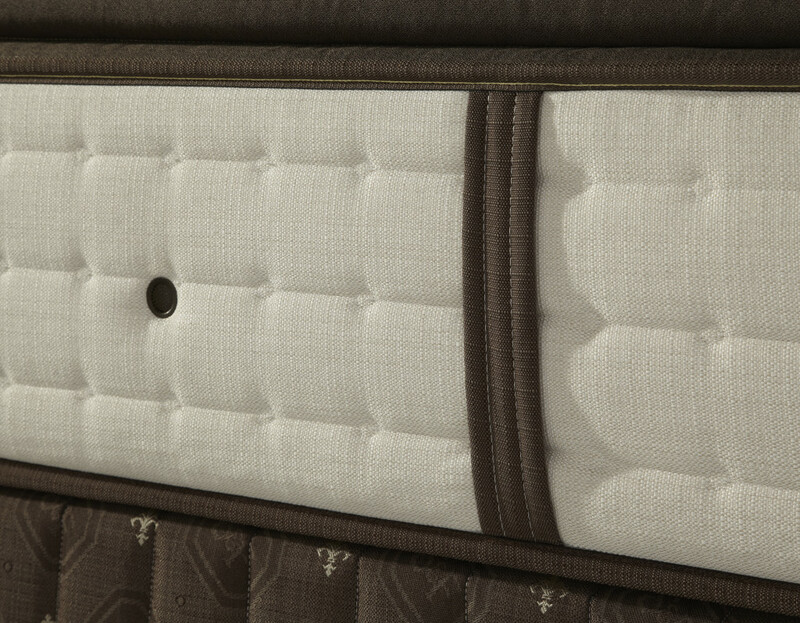 Indulgent comfort, the best material and the best craftsmanship are sewn into every Stearns & Foster mattress made today. 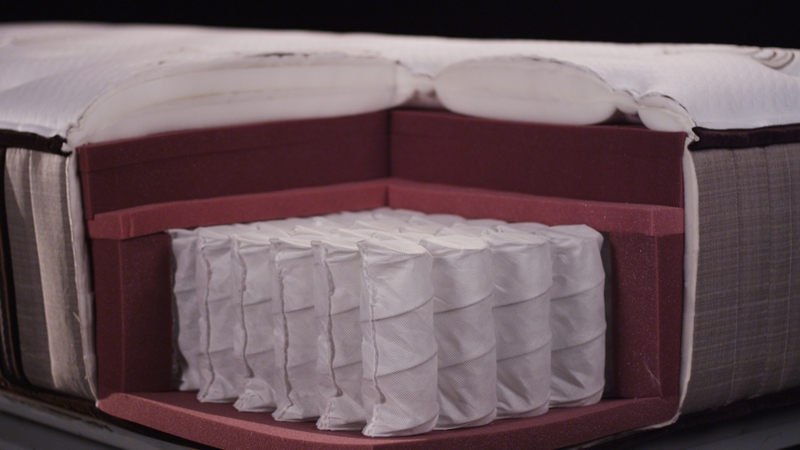 The 2014 Stearns & Foster mattresses are the best in their class with improved higher density foams which are all Gel infused for cooler sleeping and long lasting durability. Stop by today to see our selection of Stearns & Foster Signature, Estate and Estate Lux mattress collections all available at Saugerties Furniture Mart on Main St in Saugerties. During a recent family outing to the FASNY Museum of Firefighting with the family I came across an interesting piece of history. 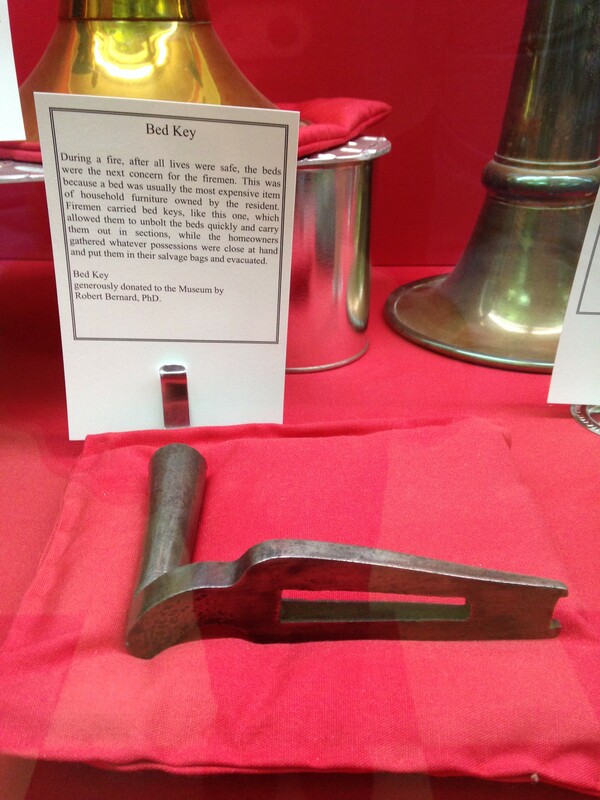 A universal bed key from the 1700’s. According to the description, once all the lives were saved, the next most important part of the home was the bed. The universal bed key was used to take apart the bed so it could be carried out in pieces. This reaffirms our belief that a bed is very important part of the home and something worth investing in. We carry a full assortment of beds from quality,Made in USA, manufacturers available in a choice of woods and stains to complement any decor. Whether you’re upgrading your bed or starting from scratch we can help you find the bed that meets your needs. Enjoy your space, buy good quality furniture! 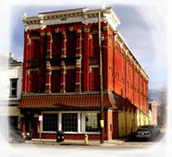 Visit us on Main St. in Saugerties 7 days a week and see the difference experience makes. 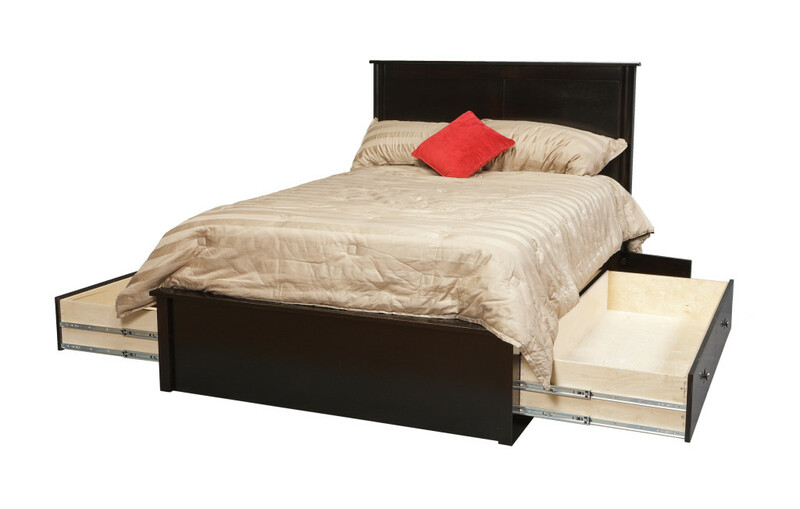 This is one of our most popular platform beds w/storage option. The two-drawer storage platform from Daniel’s Amish is built tough. You can put over 400lbs in each drawer. The dove-tailed construction, heavy-duty bottoms and lifetime warrantied ball-bearing track systems are up to the job! 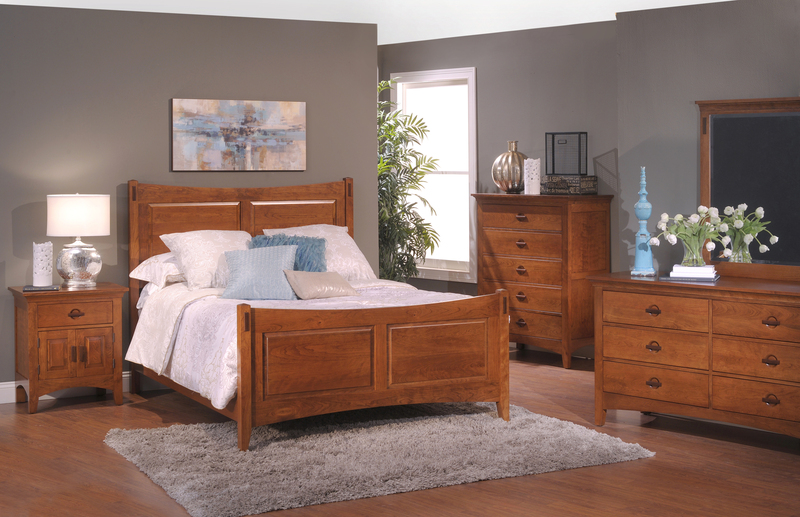 Choose from Oak, Maple, or Cherry North American Hardwoods in a choice over 30 stains and 50 hardware choices all for the same EVERYDAY LOW PRICE and you’ll have a bed that holds more than your dresser! There is an assortment of headboard options of all styles sleigh, panel, slatted, mission, rustic and cottage styles to choose from to compliment your bedroom. Just want a bed now? Don’t worry since this is Made in the USA by the Amish you can always add to your collection at any time. 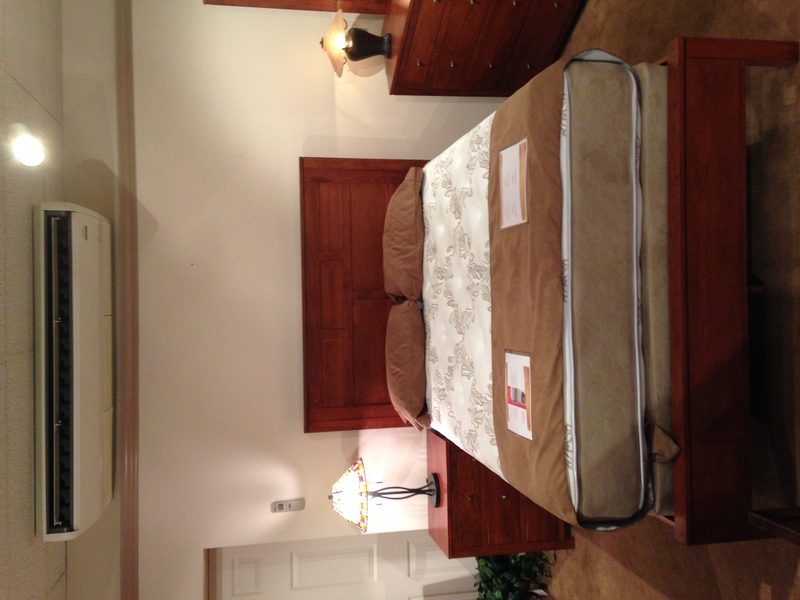 Stop by Saugerties Furniture Mart, on Main St in Saugerties to find the right bedroom furniture for you. Stop by Saugerties Furniture today on Main Stree in Saugerties to try our Double Sided Mattresses. We deliver through out the Hudson Valley and we’ll even dispose of that worn out old mattress set for no-charge! Furniture Delivery in the Hudson Valley & Beyond! Where do we deliver? Throughout the Hudson Valley and beyond! Having a tough time finding American Made Furniture built with real quality you can see and touch? Come to Saugerties Furniture Mart you’ll see quality the minute you walk in the door! We deliver throughout the Hudson Valley. North to Greene County, The Capital District and up into the North Country, South to Westchester,Putman, Orange and Sullivan Counties, East to Columbia and Dutchess County and West to Delaware County EVERY week. Our customers regularly travel from 40+ miles all in search of the same thing quality, comfort and some knowledgable help. Our store is staffed by family so there’s no pressure to buy and our Everyday Low Prices ensure you get the best price when you’re ready. In addition to quality furniture fairly priced we offer many no charge options – fabrics, finishes, hardwares so you can get your furniture to fit your lifestyle and decor. Need some help call me, Jonathan, 3rd Generation Owner, @ 845-246-3677 Ext 4 or come to Saugerties Furniture and see the difference OVER 66 YEARS of experience makes. I walked into the office this morning and the phone immediately rang. On the other end a customer asked in a hesitant voice “Do you have any solid wood furniture?”. Yes, I replied! To make a long story short the potential customer had spend 8 hours yesterday looking at various furniture stores and was unable to solid wood furniture. We carry several manufacturer’s that use only real wood including Daniel’s Amish, Canadel, Millcraft, Country View Woodworking and Gat Creek plus many of our living room sofa & recliner companies use solid wood frames for extra durability. Solid wood dining rooms, bedrooms, dressers, chests, beds, tables, chairs, armoires, & living room furniture. People come for quality and we keep looking for new vendors to supply what our customers want. We would like to introduce you to Country View Woodworking or CVW. 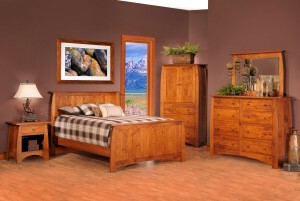 CVW is an American Made line by the Amish from Ohio featuring solid wood bedroom and dining furniture made to order. The Great Lakes Bedroom is a nice twist on shaker/mission style and is available in a quick ship, 4 weeks or less, delivery in 4 popular colors of solid rustic cherry. Custom sizes are available too! See Saugerties Furniture for bedroom furniture Made in the USA by the Amish and more.